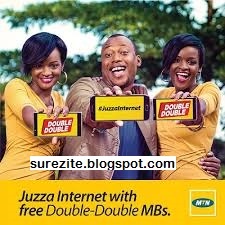 How To Double Your Data On Mtn - . ::World for News & Digitals Update::. Mtn is now giving out double of their customer subscription. I know most of you would have heard of this but I'm sorry to for posting it late but not withstanding you can still enjoy the benefit. Dial Your subscription code. e.g Text 106 to 131. Note: You must have migrate to your present tariff for past one month if not you will not be given the bonus.